Last Christmas Ajay awarded me four awards to choose for a Christmas Bouquet. 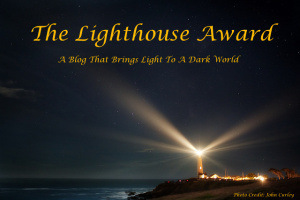 I chose 2013 Blog of the Year, The Miracle Blogger Award, The Excellence Award, and The Lighthouse ( or Litehouse) Award. I acknowledged the Blog of the Year Award when I did my annual review, but saved the other three for later. Of course I did not know that Ajay would be gone by the time I got around to posting. Jupiter is in the sign of Leo now and is preparing to make a trine to Uranus in Aries. Add some Sag from somewhere and you get a Grand Fire trine. My chart ruler is in Leo and Leo loves awards! 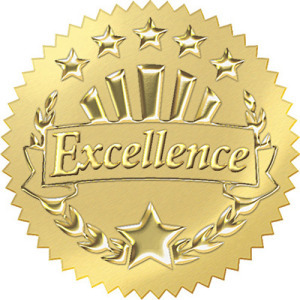 So in honor of Ajay and the applying Jupiter Uranus trine, I am gifting The Miracle, Excellence, and Lighthouse Awards. As Ajay evolved over time, he began to be more loose with his award style. Towards the end he got rid of the rules. Perhaps my rebelliousness rubbed off on him or maybe he just wanted to keep it simple. 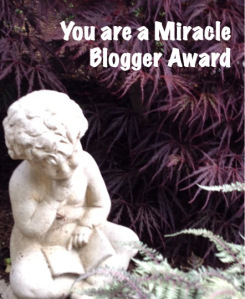 In any event, I am going to just give bloggers awards without any stipulations and hope the lite will spread. These folks have brought miracles into my life and I am not exaggerating one iota. Donna Cunningham ~ Awesome role model as astrologer, social worker, mystic, writer, blogger, etc. A sincere thank you! Amber ~ Your presence has been a blessing to me in more ways than you could ever know. On the surface we may seem very different, but that is an illusion. I have learned so much from you. Keep keeping on. Shamanic goddess ~ We share something unknowable and beautiful that has been quite joyful and healing. Thank you for being you. These folks are masterful at what they do and how they live, authentically. Aleya ~ Her site has the subtitle Wearing her heart on her blog and it does not disappoint. Aleya is genuine, honest and passionate and her writing conveys these qualities throughout every article. She does not accept awards but she does accept people unconditionally, Bravo! Leafandtwig ~ Talk about excellence. For every single day since I have followed this blog ( and probably long before) I have been graced with daily photographs and captions that seem to be Divine daily affirmations. How do you do what you do?? The perfect marriage of image and text , simply magical. These folks are true examples of litebeings in action. Sue ~ Sue tirelessly shares herself with her readers through her art, writing, poetry, and healing messages. She consistently shares her light with the world and makes our planet a more loving place. Julie ~ Julie’s kindness, warmth, and optimism are evident in all she shares here at WordPress. She is positive but also willing to discuss how the darkness can be a barrier to light. This is a woman who walks her talk. Glorialana ~ This sweet soul uses song , symphony, and artistry to motivate and inspire. She takes storytelling to an ethereal level where all is well and the inner children are actively laughing gleefully. She is a treasure. There are so many others I could include if time and energy permitted. Every day is Christmas in the truest sense of the word when one is as blessed as I with so many magnificent bloggers and blogettes in my circle. If Ajay is watching, I truly hope he will send me a sign and approve of my choices! You are welcome Sue. Still cannot really believe he is gone, but his love lives on and on.. Hoping September is joyous and fruitful for both of us. Your friendship means the world to me. I know your blog is award free but I wanted to let people know how talented you are and how authentically you write about your life. Yes, thank you Linda! You’re a wonderful friend, always generously supportive of so many of us. Ask him to send a specific sign. I say a lotus flower floating in a pond. Yes! I think it depends on their afterlife schedule. Awe thank you sweet sis! I am all for NO Rules, which I never adhered to anyway but it is in deed such a good feeling to acknowledge and to be acknowledged by friends you admire here at Word Press! you are welcome. BTW I like the new direction of your blog in that you are sharing more of your experiences. Very cool. Thank sister. It wasn’t easy as I felt vulnerable putting it out there like that. you are welcome! Where are you heading? As for me, still working on putting my self back together, Humpty Dumpty style. just letting it flow..